I have been getting into ink wash lately, and it turns out to be an excellent medium for rendering ghosts. 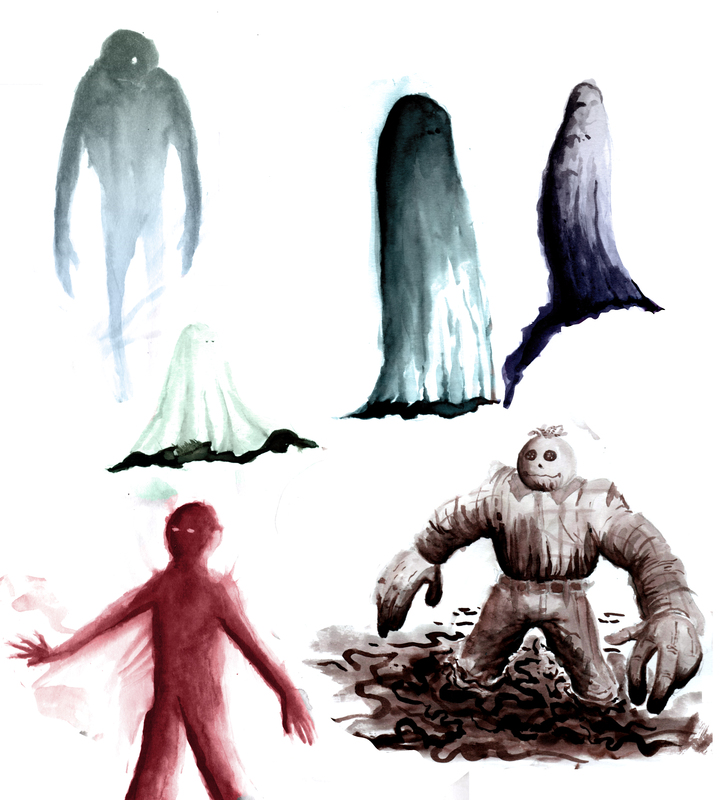 I applied a color layer to all of these ghosts except for the doll monster in the bottom right, who has only had his levels adjusted. This entry was posted in 2015, art, comics, illustration and tagged animals, art, cartoons, color, comics, demon, design, doll, ghost, illustration, ink wash, monster, peter glanting, photoshop, san francisco by pgglanting. Bookmark the permalink.